Nice ta meetcha. My name, as you might have gathered, is Cary Clarke and this, as you might also have gathered, is me introducing myself as the bouncing baby boy (read: caffeine-addled 29-year-old intern) of the programming team here at Folklife. In addition to being new to Folklife, I am also new to Seattle, having moved here only three short, windswept months ago from our sister city to the south — yes, I speak of the lovely, little, delightfully weird burg of Portland, Oregon. 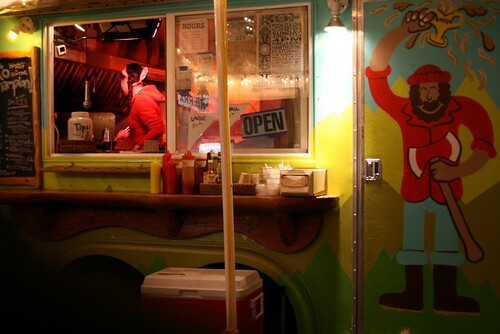 As you may have heard from a bunch of fancy-pants news sources in recent years (when they weren’t busy buzzing about food cart culture), Portland, Oregon is widely regarded as home to one of the most exciting music communities in the country. While that reputation outside of Portland has largely revolved around the presence of a handful of (admittedly great) high-profile bands and musicians like The Decemberists and The Shins, in my seven years in the city I had the pleasure of plumbing the lesser-known depths and mapping the more outre expanses of Portland’s sonic geography in the way only a local can. And though I am excited by the prospect of getting to know Seattle and its sounds, I remain a proudly unreformed booster of Portland music. So expect to hear more from me about the guitar-pickers, laptop experimentalists, string-bowers, emcees and reed-blowers of Stumptown as we turn the pages of our calendars to 2010. 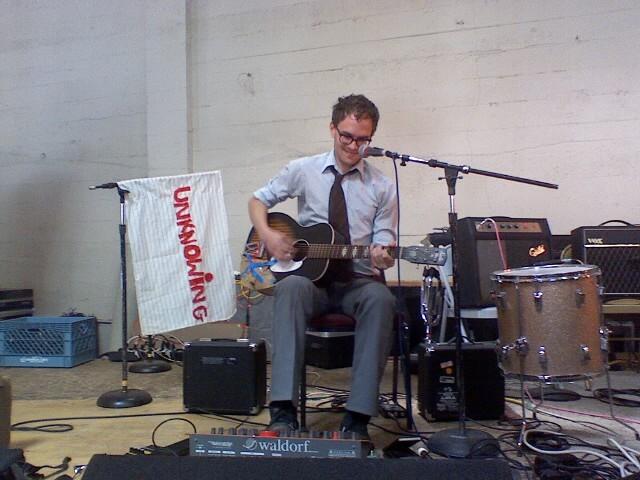 As to how my love affair with Portland music began, I moved there in 2002 out of college to play in a band called At Dusk with two friends from middle school. Coming to know it as a musician and fan, I became steadily more involved and invested in the local arts community and went on to co-found an all-volunteer non-profit organization in 2004 called PDX Pop Now! dedicated to expanding interest and participation in Portland music. Every year since then, PDX Pop Now! 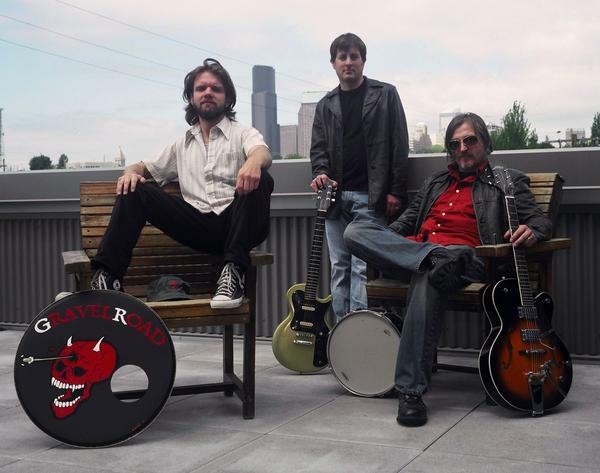 has put on a three-day, free, all-ages, multi-genre festival of Portland music (sound familiar?) as well as a companion double-disc compilation album. 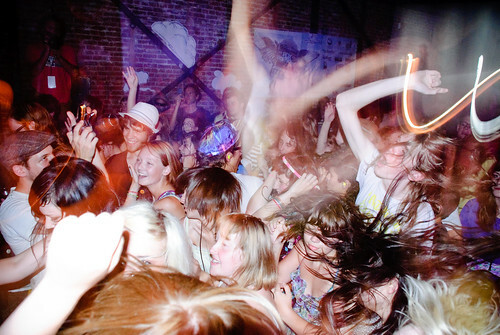 We also developed an outreach program that carried the banner of youth access to music, putting on educational events and concerts in public schools and at City Hall, as well as leading a successful statewide campaign to revise Oregon Liquor Control Commission rules so as to make more performing arts events open to people under 21. In the unlikely event that my posts here at Folklife leave you oddly thirsting to know more of my thoughts on Portland music, you can find them on a biweekly basis in the column “Our Town Could Be Your Life” which I have used — hopefully as more of an insistent-enthusiastic-nephew cardboard box than a bully pulpit — since 2007 to champion local musicians. You can order Dragging an Ox through Water releases on vinyl and CD through his website. Lately, we’re all crushing out on Sam Amidon – an indie-old-time artist, with a sound like Nick Drake meeting Beirut in an Appalachian holler. A little dark, a little dreamy, a lot lovely, making it the perfect accompaniment to a Pacific Northwest winter. Sam Amidon comes from a folk revival family, and his parents are well known fixtures in the New England folk scene. In fact, Sam’s first album was a solo Irish fiddle CD that garnered strong reviews from the Irish music press. In addition to his work with Doveman in the indie rock arena, Sam Amidon has continued to fiddle and play for folk events in New England. His latest contra dance band is a powerhouse ensemble featuring Keith Murphy of Nightingale and uilleann piper Isaac Alderson. 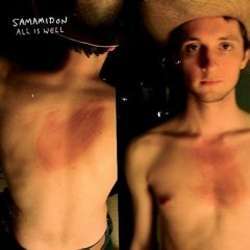 Sam’s new CD, All is Well, perfectly marries his deep folk roots with expanded indie sensibilities. Each song comes from a traditional source, but bears the stamp of his signature style of deconstruction.